Located in the Arcade next to Beaches & Cream ice cream parlor. 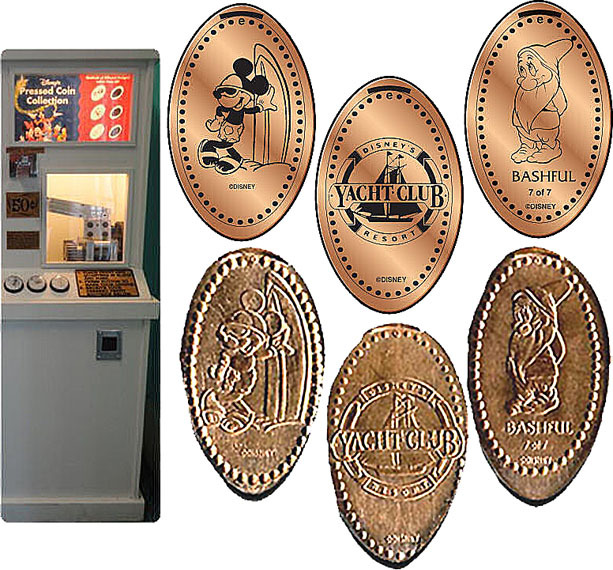 Machine 2: Surfing Mickey, Yacht Club logo, Bashful 7 of 7. Retired 1: Doc 6 of 7, Beach Club logo, Princess Belle 6 of 6.